Located in Punta Cana, this resort villa will spoil you with wood-paneled ceilings, your own pool and a gorgeous beach within walking distance. Enjoy golf and tennis as well as the resort fitness facilities. Tropical villa great for family's, couples and groups with breathtaking views! This tropical villa presents you with one of a kind accommodation experience! 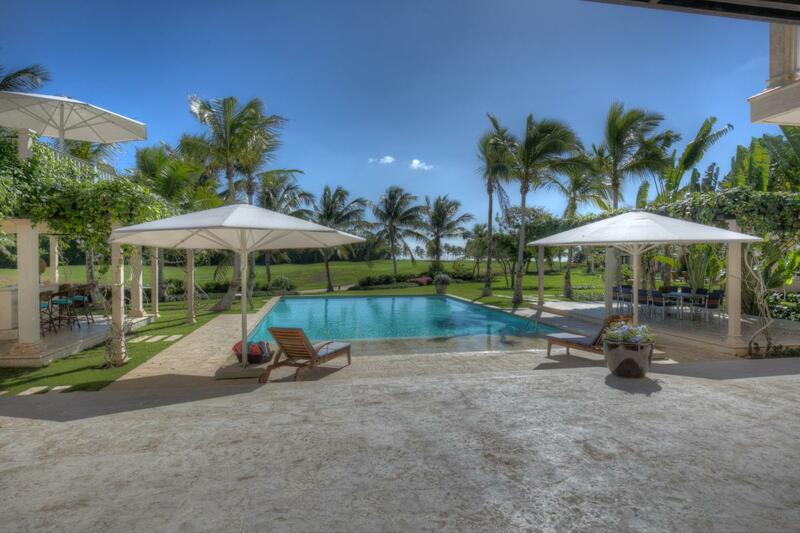 Located in the exclusive gated community of Punta Cana Resort & Club, a 26-square mile paradise that is blessed with a temperate year-round climate, light rainfall, and soft ocean breezes. It’s colorful coral reefs, calm crystalline waters and white-sand beaches are breathtaking. The Resort provides a matchless experience for all who visit this tropical paradise, and its tropically chic lifestyle is ideal for those who appreciate high standards of quality, comfort and aesthetics. As guests of the villa, you have access to all of the resort amenities and activities. Villa is an 18 minute walk/ 2 min drive to the La Playa Blanca and Clubhouse Beaches.